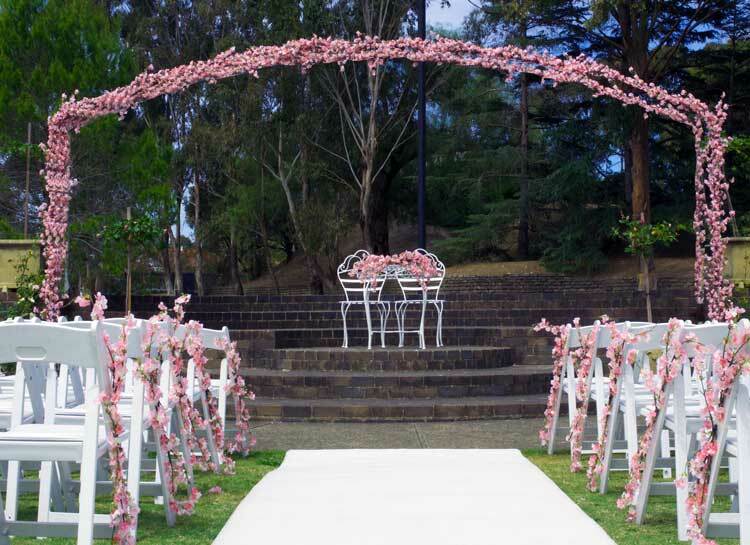 We’ve specially designed our wedding arches so they are stable and sturdy, particularly important for a garden ceremony. They have solid metal bases with a large footprint. Draping is added to change the style and setup dependant on the wedding theme. 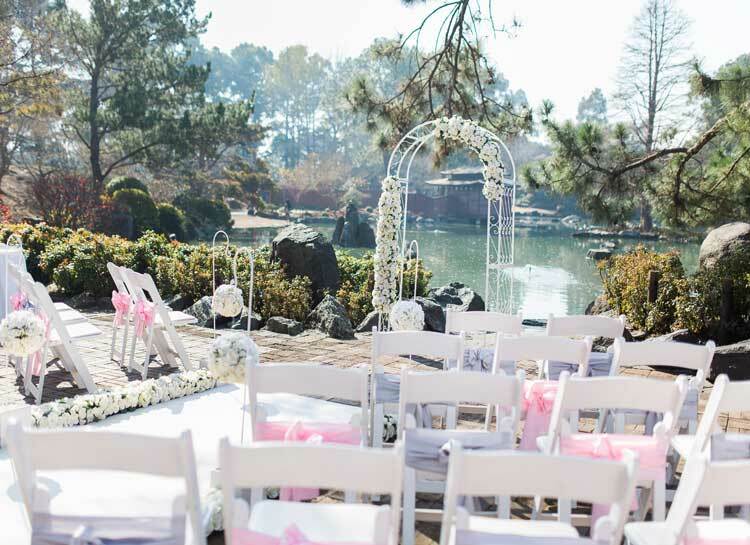 We have a variety of floral arrangements that vary from arch to arch and again it can be dependant on your wedding theme. On request we can create a custom floral arrangement to match your ceremony style and colour. 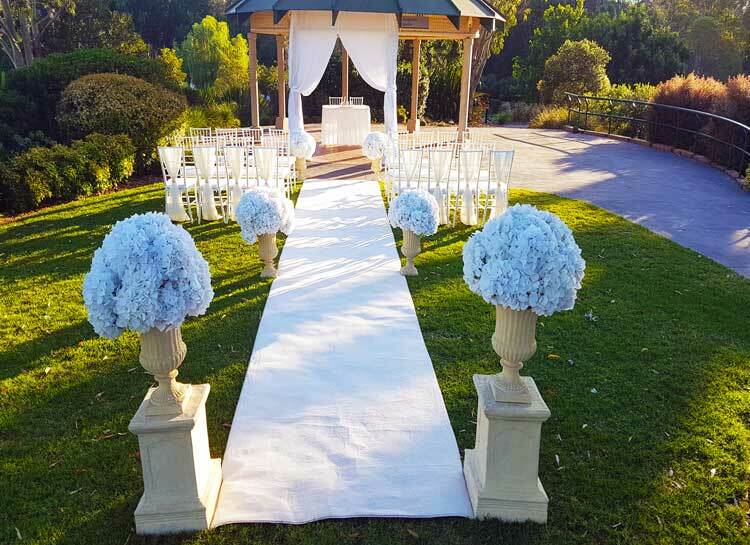 A wedding arch, ceremony arch or bridal arch, is a beautiful wedding ceremony decoration that can complete a wedding package. 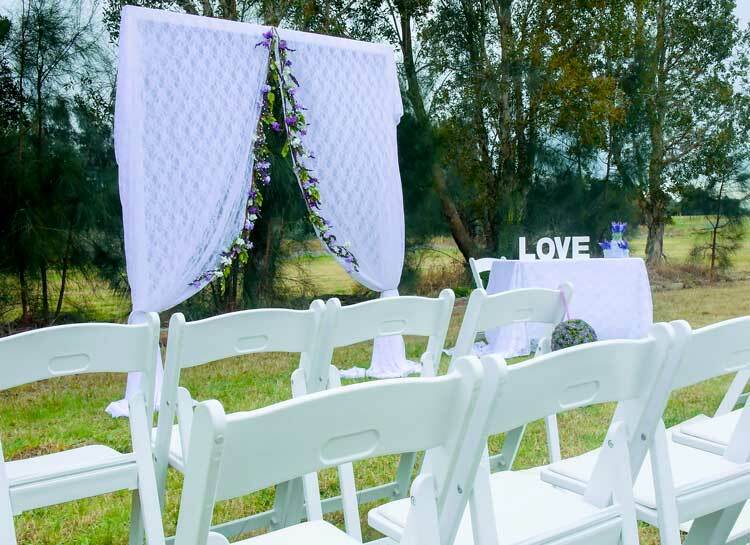 It is the perfect decoration to set as a backdrop to the bride and grooms wedding vowels. 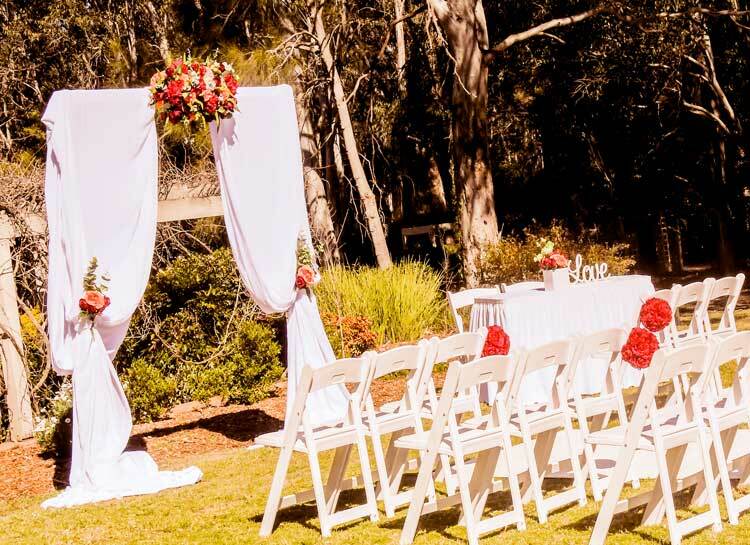 It looks wonderful in photos when completed with draping and floral arrangements. 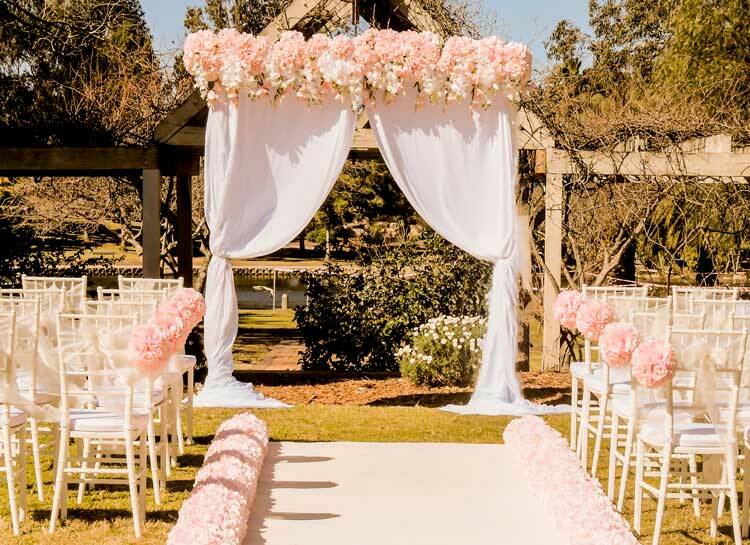 If your wedding venue has an exiting arch or the foundations to create an arch, we are experts at styling and create a feature wedding arch. The image below is a great example at the Auburn Botanic Gardens, Sunken Rose Garden. We book out fast during the peak season so send your enquiry today to ensure we’re available on the date you’re considering. 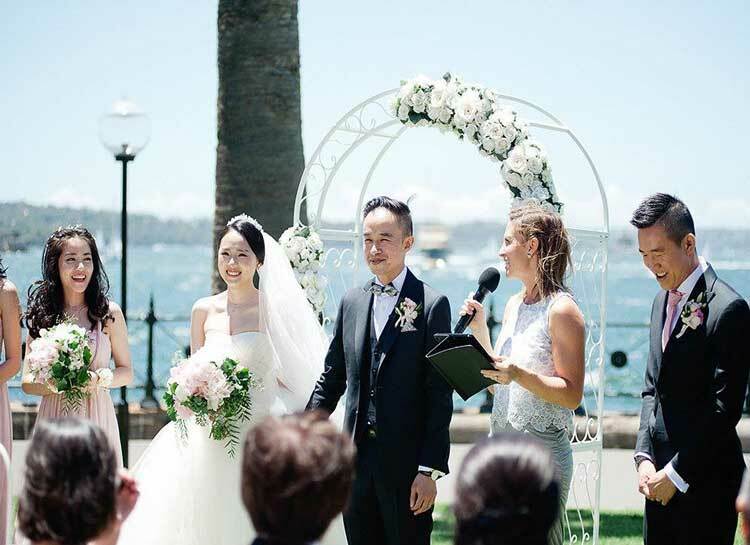 If you prefer to discuss your wedding ceremony, location or setting over the phone, you’re welcome to contact us for a free consultation on 0418 624 225.